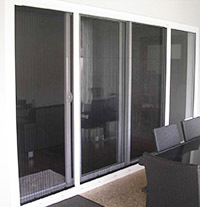 A retractable insect screen will enhance any sized sliding or set of stacker doors. Our fly screens slide neatly into an almost invisible side cartridge when not needed allowing a clear, unencumbered view. 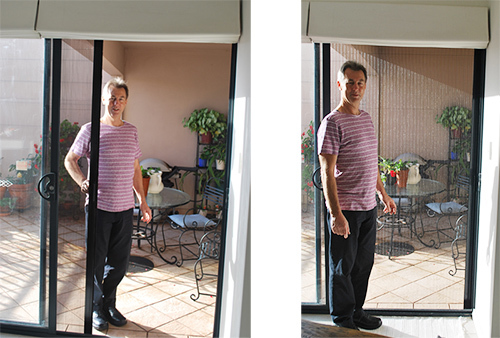 On days when there are no insects, you can open your doors with no insect screens visible. aesthetics regarding the number of panels and the colour (although most of our doors are available in all Dulux colours). 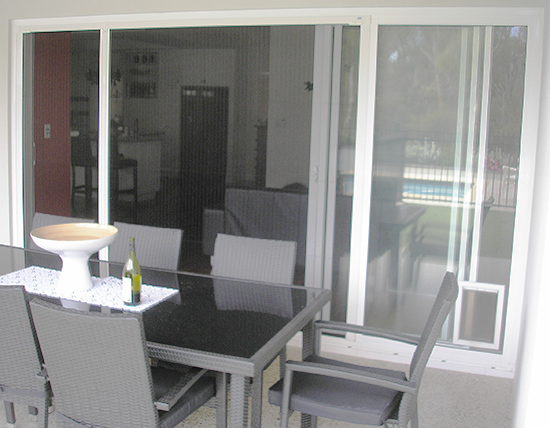 Open this table for a summary of the differences between the 8 retractable screen models. 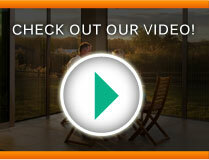 Flyscreen is 20mm semi transparent pleated polyester which provides maximum view and ventilation. No tensioned spring or counter balance mechanism or brake. Kevlar cords tension the mesh. 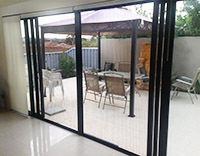 Screen slides easily and stops in any position along the opening. 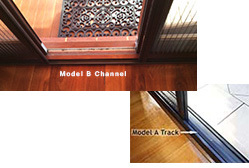 Either 3mm barrier free floor sill or 20X30mm fixed channel, depending on the model. Suitable for large or small openings. Sturdy construction. 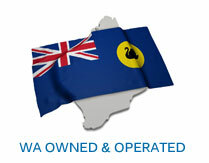 Most screens are manufactured in our Bayswater factory. Full Dulux colour range available for most models.